Thailand Dating Client of Bangkok Matching's Thai Best Matchmaking Service/Dating Service Agency in Thailand 16 October 2018. 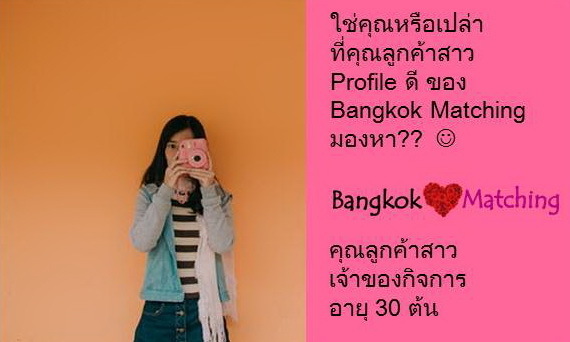 Matchmaking Service Thai Female Professional in her early 30’s is looking to be matched and date a nice guy aged between 32 – 58 for serious relationship. She decided to use Bangkok Matching 's dating, matchmaking service because our client is looking for serious relationship leading to marriage. Divorced, Kid not with the guy is ok.